A Musicological Study of Ken Russell’s Composer Films – Part 4 (The Music Lovers). Transitional Films and Symbolic Representations of Classical Composers. In spite of using the visual form as an excuse for experimentation with documentary and biography as seen in his films for the BBC, it wasn’t until the early 1970s where Russell really found material to properly experiment with. The word experimental however must be contextualised as even the films discussed in the previous section were idiosyncratic in their form and in the context of BBC documentary at the time. Instead, this transitional period for Russell, between 1970 and 1974, would see the director go all out to question a number of controversial topics with various levels of provocative results. Music of course would not be left out of this all encompassing sense of rebelliousness and would actually go on to provide the direction which could eventually be defined as Russellian. This period of filmmaking for the director is also somewhat contradictory, bringing in a number of ideals as presented in the first batch of films discussed. 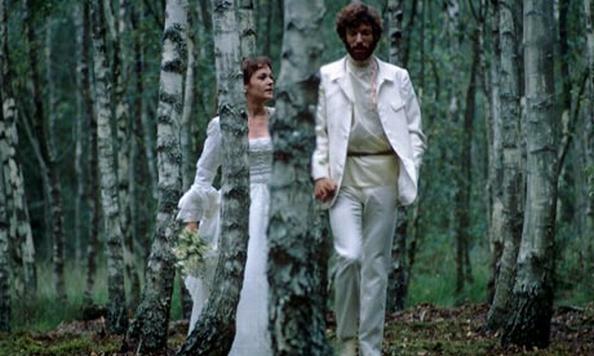 In fact, at least two of the films made between 1970 and 1974 share more in common with Russell’s BBC composer films and are therefore worth contextualising here as well, if only to show the definitive steps he was taking in making his relationship with classical music more overt and more in the nature of a personal reception. Russell’s output in these four years could be considered prodigious in the level of quality and quantity of projects. This is the era stretching from his Omnibus drama Dance of the Seven Veils (1970) to his Gustav Mahler biopic, Mahler (1974). This section will focus on the two films that bookended this period as well as the one other classical biopic that lay between them; this being his Tchaikovsky biopic, The Music Lovers (1970). In addressing the themes, aesthetics and ideas of these films, this section aims to demonstrate Russell’s gradual leaning towards symbolic interpretations of classical music as well as its composers and their personal lives and histories. Two Levels of Symbolism in Dance of the Seven Veils (1970) and The Music Lovers (1970). In 1970, Russell completed the last of his television composer biopics; a form he would not return to in the television medium until the 1980s. For his last addition of BBC Omnibus, he was commissioned to write and direct a biopic of Richard Strauss, which would later go on to be named Dance of the Seven Veils. 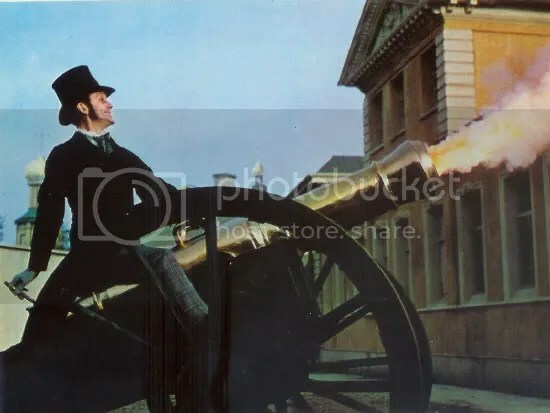 1970 is also the year that Russell would continue to grow as a household name with another turn of the century period drama, The Music Lovers. With both of these very different projects coming out in the same year, there is a sense of natural comparison between the two as well as an obvious looking glass into the first transitional period of the director. The Music Lovers has much in common with that of his earlier BBC work. They are lavish productions with regular casting choices that bask in the free feelings of the turn of the 20th century. This would be a period that would come back into fashion for both the era of the late 1960s (and early 1970s) and for Russell himself. The number of ideologies shared by the two suggests that anything from the era that could be of interest to Russell would have, at some point, found its way into his work. See, for example, his various adaptations of the works of D.H. Lawrence; a relative poster-boy for this era of early forms of sexual and creative revolution. There is, however, something more complicated going in The Music Lovers than just another excuse for a lavish period drama. This could have been made quite simply and in the same vein as Women in Love (1968) but The Music Lovers seems to hold something more dear to the director who shows this through some stark and overt aesthetic choices in regards to the musical and audio-visual relationships. Tchaikovsky is, after all, the first composer that Russell became properly enamoured with. In the previous section, the use of visual form was shown to enhance and question the historical and cultural values of various different classical works. One form that began in this documentary stage was the idea of the musical montage, that is allowing a large segment of the music to play nondiegetically while Russell conjured various images in an almost synaesthesic relationship. This stylistic form is where the seed of Russell’s transitional relationship with music begins and is used to several effects firstly within The Music Lovers and later (with more controversy), Dance of the Seven Veils and Mahler. In the early documentaries, this form had come to be seen as an excuse for the programs to play the music; an obvious but effective structural contrivance in the biographical documentary format. In The Music Lovers, this same aesthetic is used within the full narrative of the picture, sometimes as a dream sequence of various characters, other times as a visual questioning of a higher narrative power (i.e. the interested of Russell himself). Unlike the simple segways of the documentary films, The Music Lovers allows the music itself to provide a visual palate for film and the characters, and suggests potential inspiration for Tchaikovsky as well as for the people around him. In the first of these “dream sequences”, Tchaikovsky displays the Russellian relationship entirely by performing the debut of his Piano Concerto No. 1 in B flat minor (Op.23, movement 1) which allows him to dream, reminisce, and reflect on the inspiration of the piece itself. Russell professed to have this same relationship; a relationship aptly started by listening to Tchaikovsky’s music. While it is unclear as to whether any of the composers in any of the films mentioned here actually did posses this relationship with performing and composing music, there’s little doubt that Russell believed this to be the only reaction and personal reception possible when in the presence of such creativity. Other moments tend to lean towards a more obvious, personal reception for Russell showing visuals that are very clearly a reaction to the music by the director rather than any particular source of inspiration for the composer. Moments of trills in the concerto are linked with horses galloping; a visual that the director would return to again in numerous other musical projects (most famously in his visual interpretation of Holst’s Planets suite). This suggests that Russell has an idiosyncratic form of synaesthesia where not only colours are conjured by the sounds of music but whole visual elements, almost in the same way that the very best of music videos often seek to emulate. While The Music Lovers is certainly more based in fact than the other composer films of this era, these moments do indeed destabilise the sense of cultural accuracy of the film but ultimately makes it aesthetically and, in terms of reception studies, far more interesting. It is in this period where the idea of the Russell prism begins to resemble that of a personal reception itself. Russell isn’t simply wanting to relate the life of Tchaikovsky and his lovers but ultimately give his own views, comments and reactions to the music alongside. He places equal importance on his own reception as on the factual basis of the film, perhaps explaining its poor reviews but also giving it far more depth for analysis. The same dream state scenario occurs several times in the film and again Russell is using the natural aesthetics of cinematic form to question and give readings on the musical material. In The Music Lovers this consists of a mixture of biographical happenings (some of which are heavily debated) and what could be construed as emotional guesswork on the part of Russell as to how Tchaikovsky felt and what made him feel that way. The film is based on a series of letters, collected in the volume, Beloved Friend, edited by Catherine Drinker Bowen yet Russell (and the film’s script editor Bragg) have not simply edited down the volume but added various fictions to it, to the point where The Music Lovers does not simply resemble a biographical picture but instead tells the viewer more about Russell and his own pre-occupations; in other words, Tchaikovsky’s music and life has been shot through the Russell prism and has come out looking (and occasionally sounding) like something else entirely different. This transitional period is where the presence of the Russell prism really begins to take hold; where the director’s own personal beliefs, opinions, assumptions, and reception of the music itself starts to take effect on the portrayals of classical music and its composers. While Tchaikovsky’s own personal history contains enough material to satisfy Russell’s own penchant for taboo subjects (his depiction of the composer’s complex sexuality was considered risqué though was made in an era of a number of thematically similar films, including Midnight Cowboy and Sunday, Bloody Sunday), he still felt the creative need to supplant more fictional material as historical fact. While critics, especially music scholars and film critics with some knowledge of classical music, decried Russell’s attempts at this type of portrayal, they missed an interestingly musical parallel between the historically cultural and the finality of Russell’s musical world. For Russell’s world could be said to be doing something that a large number of composers did throughout their careers; he was expanding and creating variations upon a theme. Tchaikovsky may never seen visions of his past while playing his piano concerto (and he definitely never met several of the historical characters he ends up sharing company within The Music Lovers) but Russell is using the basis of cultural history as only a starting point. Whereas the raw material of musical themes represented little more than an individual composer’s creativity and of course the varying personal receptions of its audiences, Russell’s raw material contains these elements as well as the factual, historical dynamics that fed into such works too. Therefore, to create new variations on the telling of real-life people is considered more controversial than a creative because of what appears from the outside to be a deception and is in fact the personal inflection on the representation of a real-life artist. This type of personal reflection first begins to express itself fully in The Music Lovers though could also be read into some of the early BBC works if their formal constructs are put to one side. In the same year as rewriting Tchaikovsky’s life, Russell used this same attribute to even greater effect in his Dance of the Seven Veils for the BBC. This is where the director’s over-zealous, perhaps even arrogant sense of confidence with source material overstepped its mark, with actual consequences for the film and director. The Music of Folk Horror – Part 8 (Conclusions). Das Cabinet Des Dr. Caligari (1920) – Masters of Cinema Restoration.